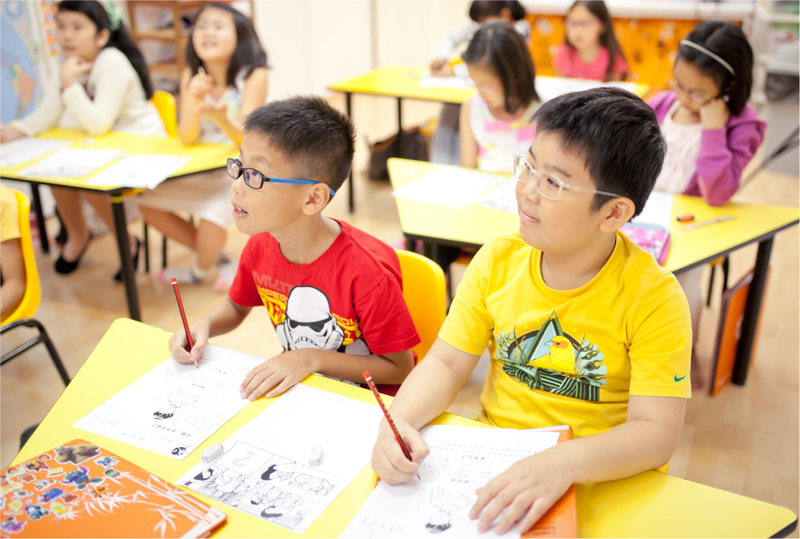 Our Mandarin Expressions programme supports children in meeting the demands of the Singapore Ministry of Education’s Primary 5 and 6 Mandarin curriculum. It also enhances their ability to express themselves in the language with confidence, and gives them the opportunities to explore uses of the language in contexts which go beyond school work and are meaningful and relevant to their lives. The programme makes learning Mandarin meaningful and rewarding for upper-primary students, inspiring an enjoyment of the language for academic purposes and in many other areas of life. Discussions, vocabulary building exercises, games and presentation activities to enhance children’s oral communication skills, ability to organise their thoughts, and confidence in speaking in both formal and informal settings. Discussions about the structure, meaning and emotions behind stories, poems and pictures of varying forms and structures. Exercises focus on the use of Mandarin beyond school contexts, such as writing e-mails and communicating in Mandarin online, to expand language skills and develop a wider understanding of the language. Practice of using different styles and structures of writing and rhetorical and literary devices such as personification, hyperbole and analogy, to enhance writing skills. Opportunities to create stories and poems, develop creative thinking and imagination, and express thoughts and emotions in written form.